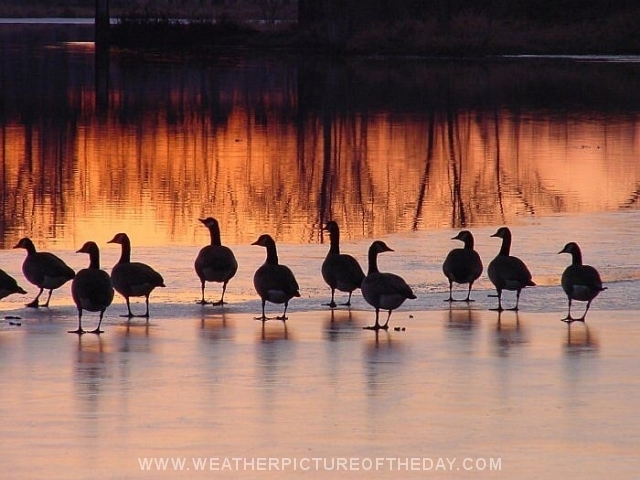 Geese gabbing in a golden sunset. Trailing vortices and downwash phenomenon of an aircraft in flight are seen clearly in this figure. In this situation, a Cessna Citation VI was flown immediately above the fog bank over Lake Tahoe at approximately 313 km/h or 170 knots (B. Budzowski, Director of Flight Operations, Cessna Aircraft Company, private communication, 1993). Aircraft altitude was about 122 m (400 ft) above the lake, and the weight was approximately 8400 kg. 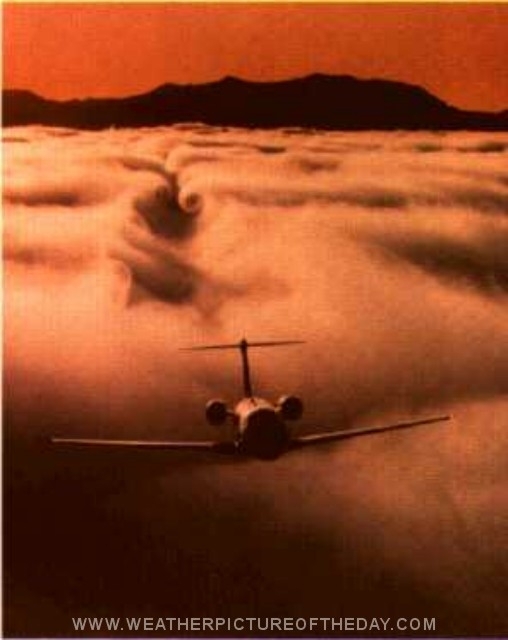 As the trailing vortices descended over the fog layer due to the downwash, the flow field in the wake was made visible by the distortion of the fog layer. The photo was taken by P. Bowen for the Cessna Aircraft Company from the tail gun- ner’s position in a B-25 flying in formation slightly above and ahead of the Cessna. The aircraft is seen initiating a gentle climb after a level flight, leaving a portion of the fog layer yet unaffected. 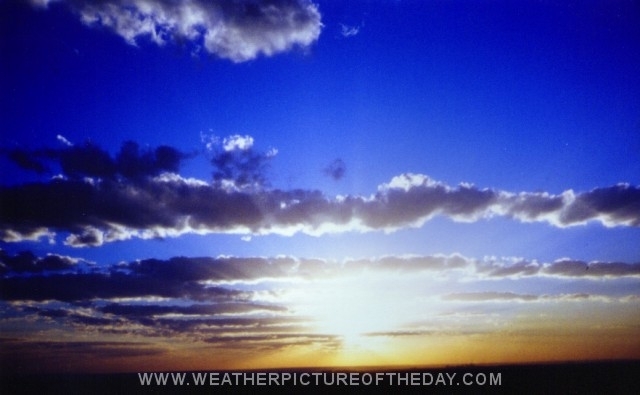 Billings Montana, around 6 pm June 18th. This one was three photos knit together for a panoramic effect: The same formation, as originally viewed from our campign area at the dog show. I then moved to a clearer area to take the others.